There’s no beating around the bush with the first single off AlfanAnt’s forthcoming “Aurora Australis” album, ‘Head In The Cloud’. The easy-breezy ditty with infectious harmonies, great guitar picking and sweet songwriting belies the underlying meaning - expecting everything to change, but doing nothing about it. 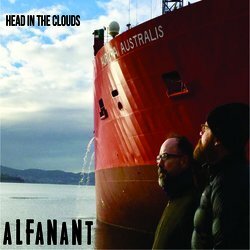 AlfanAnt’s song ‘Comes A Time’ off their debut EP “Lucky” was awarded a finalist position for the Blues & Roots Song of the Year category in the 2018 Queensland Music Awards. The EP also spent over 2 months in the triple j Unearthed charts with ‘“Your Kind”’ hitting #1 Roots, #4 Rock and #6 Overall and ‘Comes A Time’ and ‘Lucky’ also joining ‘“Your Kind”’ in the Top 5 of the Roots chart.